Astrobiology is a very broad interdisciplinary field covering the origin, evolution, distribution, and destiny of life in the universe, as well as the design and implementation of missions for solar system exploration. A review covering its complete spectrum has been missing at a level accessible even to the non-specialist. The last section of the book consists of a supplement, including a glossary, notes, and tables, which represent highly condensed `windows' into research ranging from basic sciences to earth and life sciences, as well as the humanities. 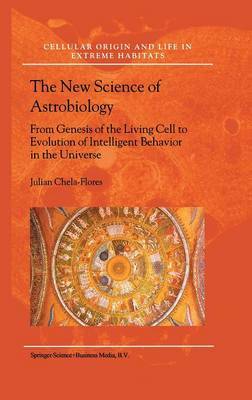 These additions should make The New Science of Astrobiology accessible to a wide readership: scientists, humanists, and the general reader will have an opportunity to participate in one of the most rewarding activities of contemporary culture. "Recommended for anyone involved in studying life. Lower-division undergraduates through professionals; two-year technical program students."